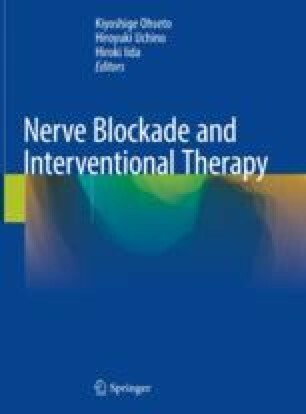 Thoracic paravertebral block provides adequate unilateral multi-segmental somatic and sympathetic nerve blockade for thoracic surgery and abdominal surgery. Although this block is easy to perform using a loss-of-resistance technique or a predetermined distance technique, there is a risk of inadvertent pleural or pulmonary puncture. The use of ultrasound can reduce the complication rate of this block and can enable us ascertain if the local anesthetic spread into the paravertebral space.